This quick and easy dessert is perfect for a summer evening. Put it together before cooking dinner and throw it in the refrigerator or freezer. It'll be ready to serve when your done eating. It only has 3 ingredients plus a premade graham cracker crust , and you can make variations of it by changing the limeade to pink lemonade pie, or even raspberry lemonade pie. 1 (8 oz.) tub whipped cream thawed. In mixing bowl mix sweetened condensed milk and 6 oz. (3/4 cup) limeade concentrate. blend well. gently fold in tub of whipped topping. 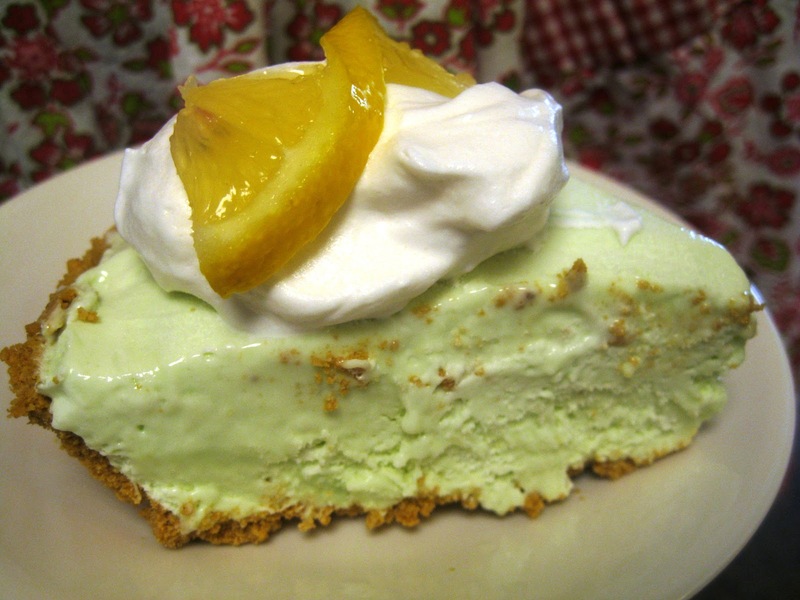 To make pie a light green color add a few drops of green food coloring and gently mix. Pour into graham cracker crust and refridgerate 2-3 hours, or freezer for 1 hour. 1) To make a cherry limeade pie, dice up about 10 marachino cherries and gently fold into pie mix before pouring into crust. Also can add in 2 tablespoons of the juice from the cherries, but decrease the limeade concentrate by at least the same amount. 2) Want to make two (2) pies out of one recipe? Buy one extra tub of whipped cream and divide the pie filling between two crusts. Then gently spread half the extra whipped topping on each filled pie crust before freezing. 3) You can make pink lemonade pie or any flavor lemonade concentrate you find at the store. It's all super yummy!